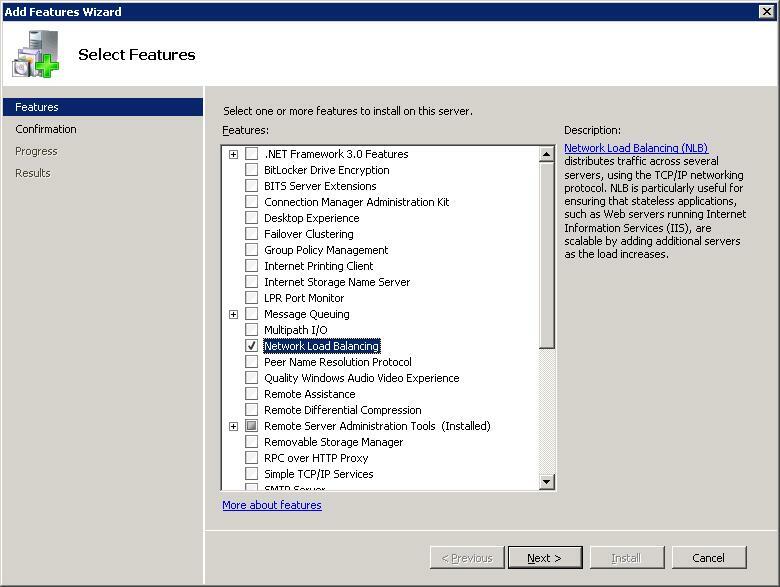 Microsoft Application Request Routing (ARR) for IIS 7.0 and above and Network Load Balancing (NLB). This document provides prescriptive guidance about how Application Request Routing (ARR) can be used with Network Load Balancing (NLB) to achieve high availability and scalability. ARR is the single point of failure. 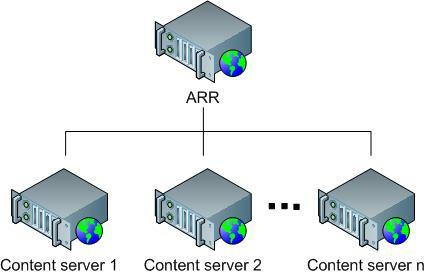 The scalability of the content servers is limited by the maximum capacity of one ARR server. In order to overcome these challenges, administrators may consider using multiple ARR servers with Network Load Balancing (NLB). ARR can be deployed in active/passive mode to only achieve high availability or in active/active mode to achieve both high availability and scalability. This whitepaper describes how ARR and NLB can be deployed together to enable the core ARR scenarios while achieving overall high availability and scalability. NLB is available on all SKUs of Windows Server 2008. Host name (HTTP_HOST): Route traffic to different content servers based on host name. Requested resource (URL): Based on file extensions, determine whether the requested resources are for static content or dynamic content and route the requests accordingly. Client information (HTTP_USER_AGENT): Based on the browser type and version, route the requests to appropriate content servers. Custom headers (Set as a cookie by applications): Route traffic based on cookie information set by applications, such as user preference or user ID. Above are just some of the examples. For a complete list of HTTP headers and server variables, refer to Appendix A. Tier 1 (Web): Provides dual purposes of processing static content and routing and load balancing the remaining dynamic requests to tier 2 servers. Tier 2 (Application): Processes dynamic content that relies on business logic. Tier 3 (Data): Stores data. Although the above example shows a routing rule that differentiates the static content from the dynamic content, another common scenario is to differentiate presentation requests from Web service requests. 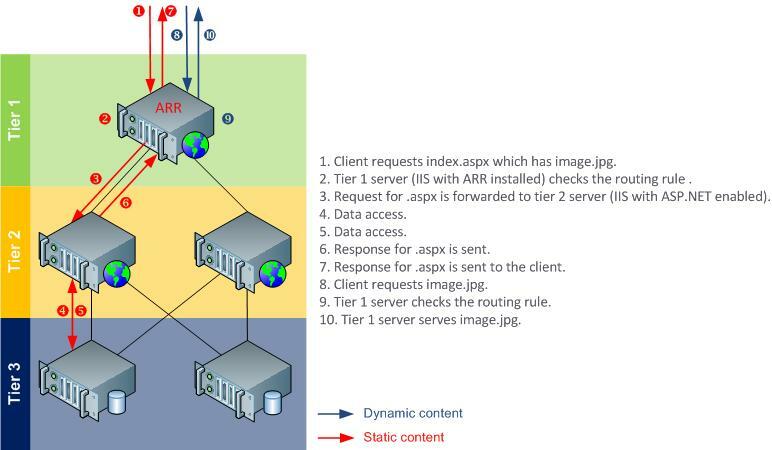 In Active/Passive mode, typically there are two ARR servers in which one server processes the requests while the other server stands by as a failover server. As noted above, while this configuration achieves high availability by removing the single point of failure, it is not a scale out solution since the aggregate capacity of the content servers is limited by the maximum capacity of one ARR server. In this setup, since two ARR servers are configured the same way, a shared configuration is used. First, install ARR on both servers, then create the NLB cluster. 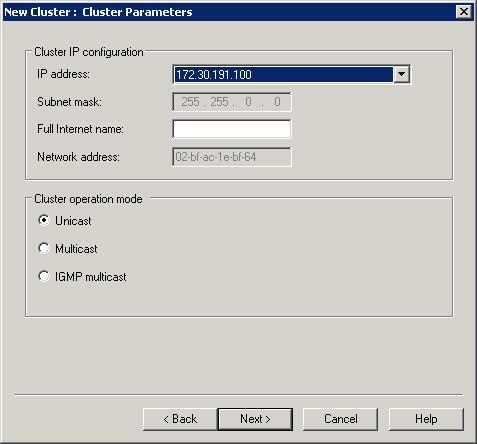 The NLB cluster is configured to accept traffic on only one of the cluster nodes. 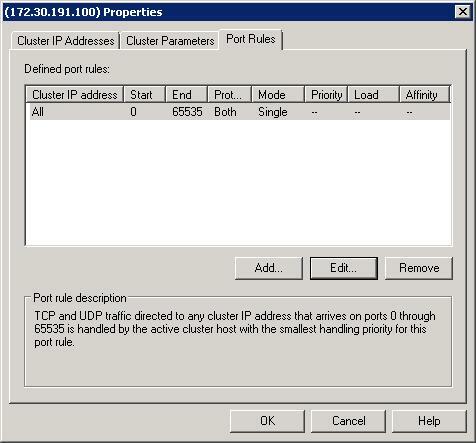 This is achieved by configuring the cluster port rules with single host filtering mode. The node accepting the traffic is determined by the host priority setting of the NLB cluster nodes. Refer to NLB configuration for more details. With the exception of the host name affinity feature in ARR, there is no runtime state information that must be shared between the two ARR servers. Therefore, for this scenario, no special configuration is needed on either ARR or NLB. Even if you use the server affinity feature in ARR, the affinitized state information will be made available to the passive server through a cookie in the request header. This scenario is fully supported in the ARR Version 1 release. Step 1: Enable shared configuration on two ARR servers. Follow the steps in this document to set up shared configuration in IIS. 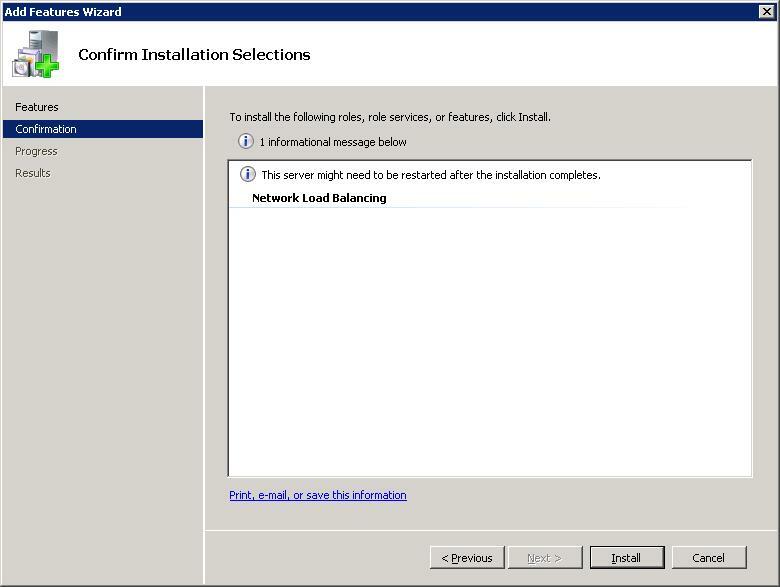 Step 2: Configure 3-tier deployment architecture using ARR. Follow the steps in this document to configure ARR in 3-tier deployment architecture. How to make static content available on the ARR server. How to write URL rewrite rules for static content so that they are served directly from the ARR server. How to write URL rewrite rules for dynamic content so that they are forwarded to the application servers. Install the NLB feature on all ARR servers. Create NLB cluster for ARR. Configure NLB for active/passive deployment. In the Add Features Wizard, select Network Load Balancing. Click Install to confirm installation of the NLB feature. Verify that the NLB feature installed successfully. Repeat the above steps on all ARR servers. Verify that NLB is installed on all instances of ARR servers. Go to Start > All Programs > Administrative Tools, and open the Network Load Balancing Manager. 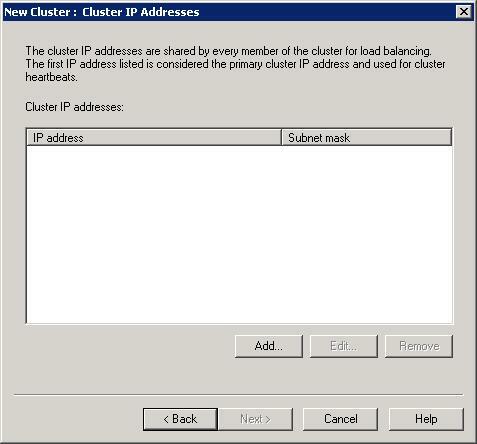 Right-click on Network Load Balancing Clusters, and then select New Cluster. In the New Cluster dialog box, in the Host text box, type the server address of one of the ARR servers. If there are multiple interfaces, type the server address that you want to create the NLB cluster on. In active/passive mode (single host mode in NLB), the priority determines the order in which failover takes place. By default, the server with priority 1 is the active node. The cluster IP, a virtual IP address, is needed. Click Add. This is the IP address that clients will communicate with. 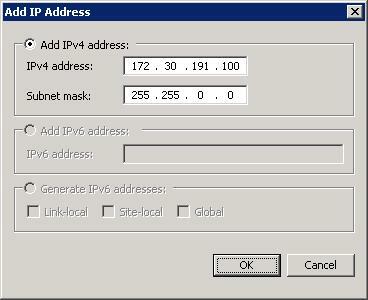 Type the virtual IP address, and then click OK. Accept the default values. For more detailed information, refer to the Appendix. Click Finish to complete the creation of the NLB cluster. Now that the NLB cluster is created, you can add additional members to the cluster. Follow the remaining steps on all additional member servers. 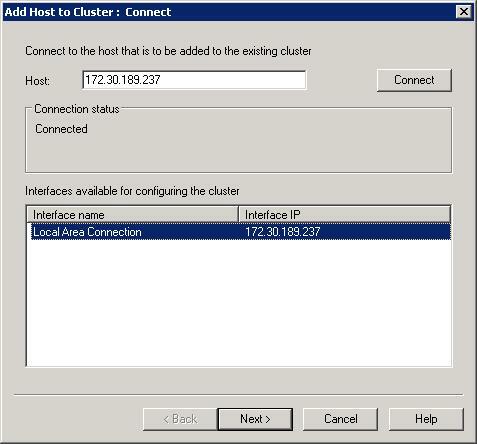 In the Network Load Balancing Manager, right-click on the newly selected cluster, and then select Add Host To Cluster. Type the server address of the member to be added. 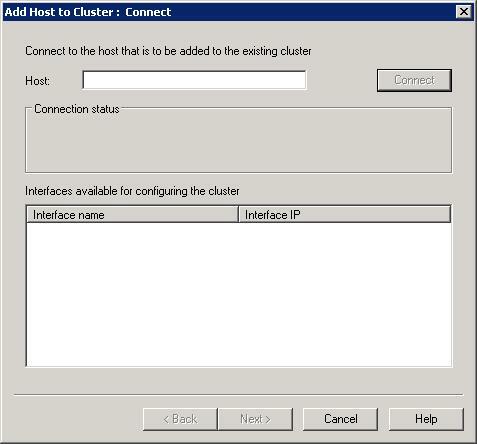 If there are multiple interfaces, select the one that should be used by the NLB cluster. Note that the priority assignment is mutually exclusive and unique among the member servers in the cluster. In active/passive mode (single host mode in NLB), the priority determines the order of fail-over. Click Finish to add the member server to the cluster. 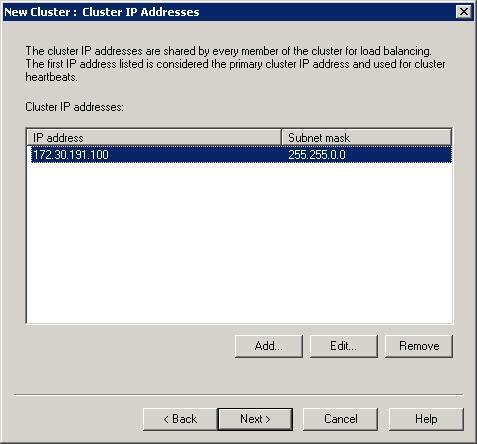 To configure NLB for active/passive deployment, in the Network Load Balancing Manager, right-click the cluster, and then select Cluster Properties. Click on the Port Rules tab. Click Edit. Select Single host, and then click OK.
NLB is configured successfully to work in active/passive mode with ARR. In Active/Active mode, you can have two or more ARR servers. This configuration achieves both high availability and scalability, unlike the Active/Pass mode, which achieves only high availability. As noted previously, since multiple ARR servers are configured the same way, a shared configuration is used. The major difference is how NLB is configured. 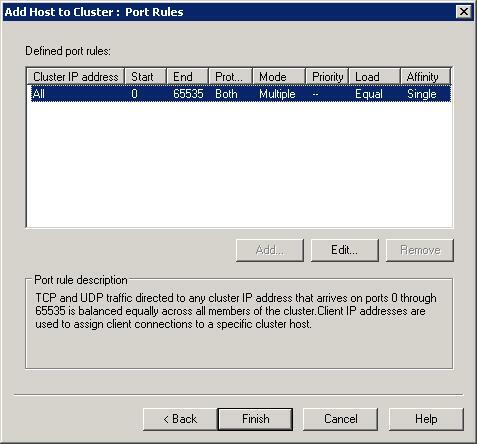 In order to utilize all ARR servers at the same time, the NLB cluster port rule is configured in multiple host mode. Regardless of whether the affinity feature is enabled on NLB or not, no special configuration is needed on the ARR servers. For one, the ARR servers use one shared configuration so that they are configured the same way. Secondly, since ARR uses a client cookie to store the server affinity information for its own use, this information is available per request and therefore available across the ARR servers. The recommendation for NLB is to set affinity to none since it results in a more even load distribution. The ARR configuration for Active/Active is identical to that of Active/Passive. The main difference is how NLB is configured. Configure NLB for active/active deployment. Install the NLB feature on all ARR servers: Documented [here](achieving-high-availability-and-scalability-arr-and-nlb.md#install NLB). Create NLB cluster for ARR: Documented [here](achieving-high-availability-and-scalability-arr-and-nlb.md#create nlb). 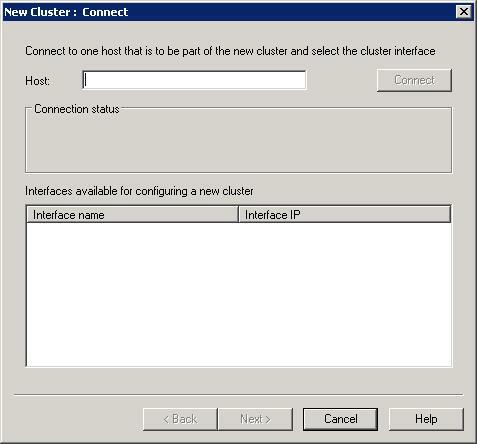 To configure NLB for active/active deployment, in the Network Load Balancing Manager, right-click on the cluster, and then select Cluster Properties. Click on the Port Rules tab. Click Edit. 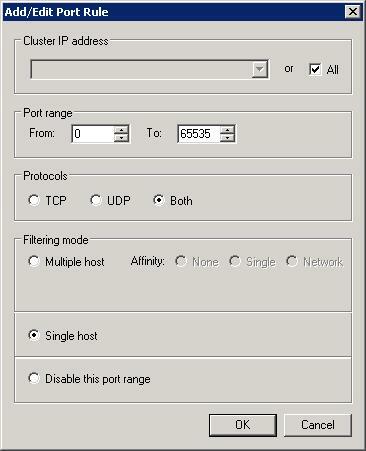 Select Multiple host. For the Affinity setting, select None. As mentioned above, the recommendation is to not use affinity in NLB since it will result in a better load distribution. NLB is configured successfully to work in active/active mode with ARR. Reduce the manual management and maintenance involved with traditional shared hosting deployment. Maximize the existing server resources while ensuring that all server resources are evenly utilized. Easily scale out the environment. Create business opportunities to sell additional capacity. 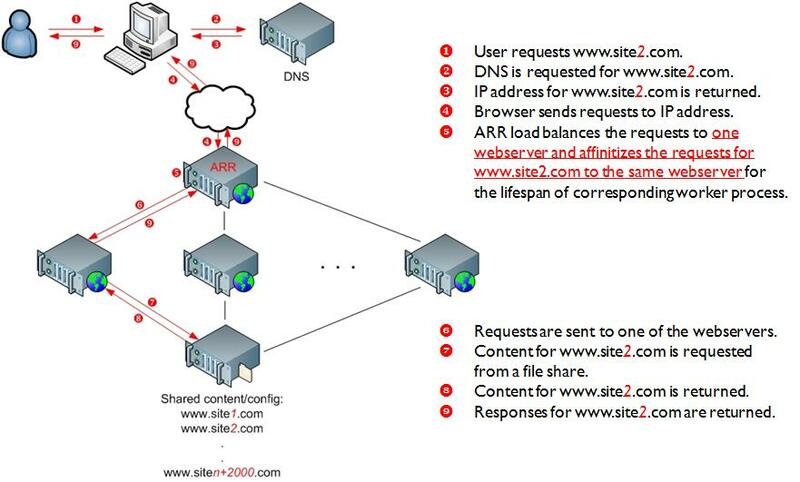 For more information about shared hosting and ARR, refer to this document. As noted previously, in Active/Passive mode, typically there are two ARR servers in which one server processes the requests while the other server stands by as a failover server. While this configuration achieves high availability by removing the single point of failure, it is not a scale out solution since the aggregate capacity of the content servers is limited by the maximum capacity of one ARR server. In this setup, since two ARR servers are configured the same way, a shared configuration is used. 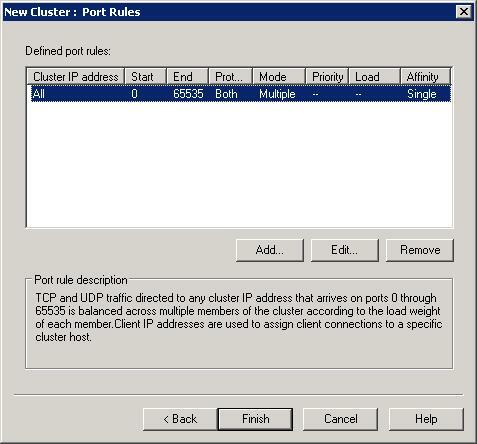 The NLB cluster is configured to accept traffic only on one of the cluster nodes. This is achieved by configuring the cluster rules with single host filtering mode. The node accepting the traffic is determined by the host priority setting of the NLB cluster nodes. Refer to NLB configuration for more details. The host name affinity feature in ARR affinitizes the requests to a particular server (or a group of servers in RC) based on the host name. The runtime state information of affinitized mapping between the host names and the content servers is stored in memory within an instance of an ARR server. In the ARR Version 1 release, ARR leverages Microsoft External Cache Version 1 for IIS to share and maintain this runtime state between multiple ARR servers. More information about this scenario is available in this document. 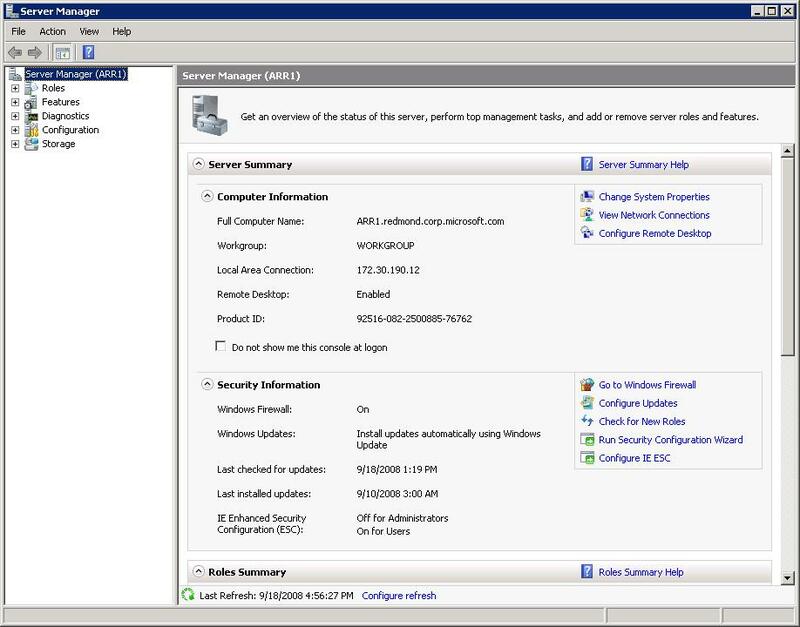 Step 1: Configure ARR for shared hosting with host name affinity. Follow the steps in this document to configure the host name affinity feature in ARR for shared hosting. Step 2: Enable and configure External Cache. Follow the steps in this document to enable and configure External Cache. 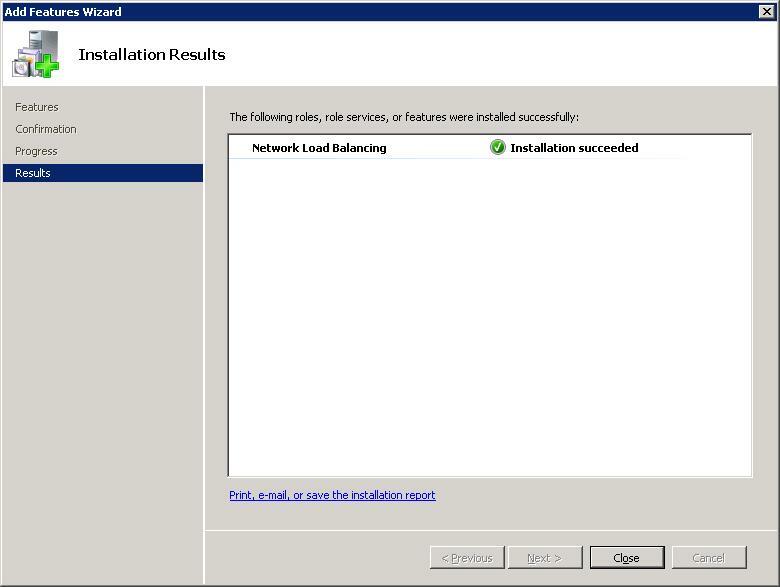 Install the NLB feature: Documented [here](achieving-high-availability-and-scalability-arr-and-nlb.md#Install NLB features). Create NLB cluster for ARR: Documented [here](achieving-high-availability-and-scalability-arr-and-nlb.md#Create NLB cluster for ARR). Configure NLB for active/passive deployment: Documented [here](achieving-high-availability-and-scalability-arr-and-nlb.md#Configure NLB for active/passive). In Active/Active mode, you can have two or more ARR servers. This configuration achieves both high availability and scalability, unlike the Active/Passive mode, which achieves only high availability. Since multiple ARR servers are configured the same way, a shared configuration is used. 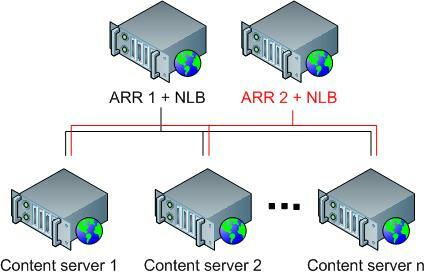 In order to utilize all ARR servers at the same time, NLB is configured in multiple host mode. As noted previously, the runtime state information of affinitized mapping between the host names and the content servers is stored in memory within an instance of an ARR server. In order to share this information among multiple ARR servers, Microsoft External Cache for IIS is used. For more information about External Cache, refer to this document. Configure NLB for active/active deployment: Documented [here](achieving-high-availability-and-scalability-arr-and-nlb.md#Configure NLB for active/active). The recommendation is to not use affinity in NLB for this ARR scenario. In this whitepaper, two main ARR scenarios were reviewed to achieve high availability and scalability by deploying multiple ARR servers and using NLB.